Our Adventures in Fiction series is meant to take a look at the writers and creators behind the genre(s) that helped to forge not only our favorite hobby, but our lives. The idea of space gods seems somewhat common place today, but Roger Zelazny is the reason that most of us are familiar with them. 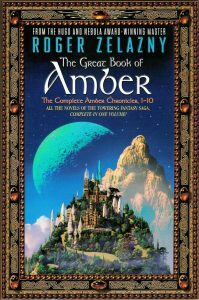 By virtue of his unusual last name, Roger Zelazny is last in Appendix N. This author wonders: “How many readers have never gotten all the way down the list, leaving Zelazny a mystery?” And so, around the anniversary of his birth, let’s take a look at this three-time Nebula Award winner (nominated 14 times), six-time Hugo Award winner (coincidentally, also 14 nominations) and “last-but-by-no–means-least” author, focusing on his best-known work: The Chronicles of Amber. 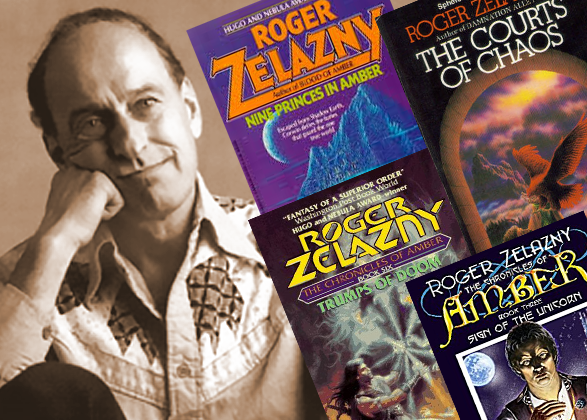 Roger Zelazny was born May 13th, 1937 and by 1962 he had earned a master’s degree in English. Seven years later he was supporting himself financially as a writer. If Zelazny were alive today, he’d be right at home with the contemporary RPGer: he was a member of a group of fantasy writers called “the Swordsmen and Sorcerers’ Guild of America” (SAGA) and was a lifelong martial artist—an expert in épée and aikido (which he taught) and a student of judo, t’ai chi, and pa kua. 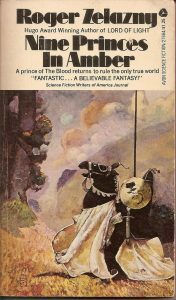 In 1970, when Zelazny published Nine Princes in Amber—the first novel in what would be a 10-volume series—the age of hard-boiled detective fiction was 25+ years past. Yet, Princes opens like a pulp detective novel and several literati have compared Zelazny’s style of prose to crime authors like Raymond Chandler. His Princes protagonist, “Carl Corey,” is afflicted with amnesia, setting up the mystery. 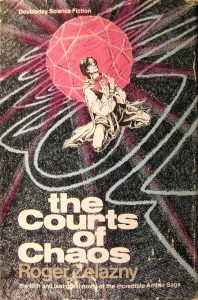 Reflecting Zelazny’s own love for tobacco, Corey veritably chain-smokes his way through the first 30 pages, this act seemingly lubricating the deductive abilities of Corey’s clearly “hard-boiled” character. The appearance of a femme fatale reinforces the sense of genre. Yet, despite this god-like power, what most Amberites desire most is to rule Amber itself—the “one true dimension” at the center of the multi-verse. They plot murderously against each other. (George R R Martin has cited their machinations as one of the major influences for A Song of Fire and Ice.) 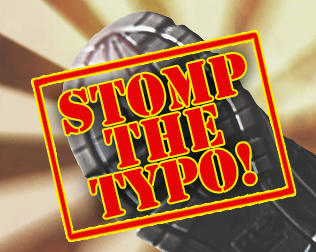 It is only the arrival of an outside threat that ends their vicious, internecine feud. In so doing, this threat shatters their illusion of unrivaled primacy and saves them (perhaps?) from their long-standing hubris. 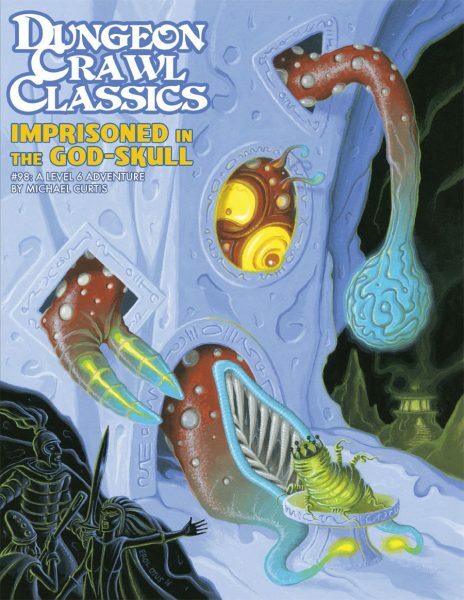 Zelazny’s influence on Dungeons and Dragons and Dungeon Crawl Classics are readily apparent. In D&D, one sees Zelazny’s Jack of Shadows shaping the thief class and the non-Vancian magic-wielding abilities of the sorcerer and warlock classes. In DCC, the Law vs. Chaos duality and uses of technology and techno-magic that defy later genre conventions are signature Zelazny. 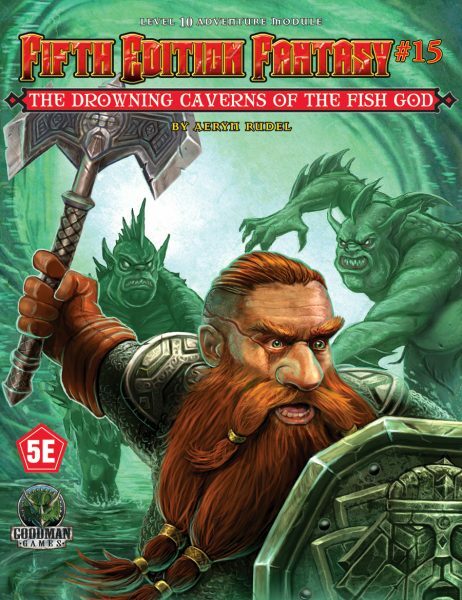 Comparisons have been made between Shadows and the D&D multi-verse, but this author strongly questions those comparisons. The structure of the original D&D planes seems quite fixed, replete with a spatial “navigational chart.” Shadows are decidedly unfixed, reflecting their nature as the imposition of magical order over primal Chaos, with the magic of a Shadow walker arguably calling a dimension into existence. 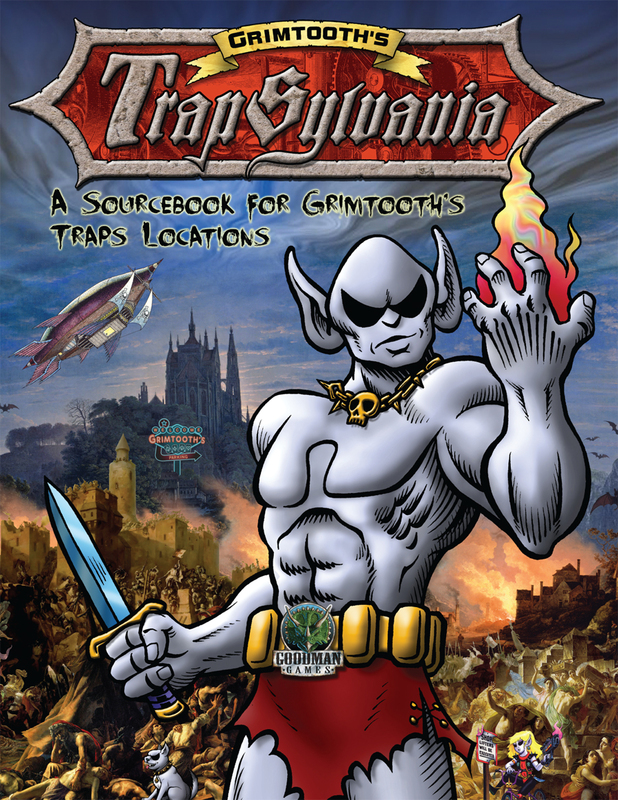 Furthermore, many planes in D&D—Elysium, Olympus, Hades, etc.—are straight from mythology. While classical mythology definitely influenced Zelazny’s work, Shadows are not a product of this influence. Even the Shadow we visit in the Chronicles that has a mythological reference—Avalon—is a version customized by Corwin, in which he, not Arthur, is the central figure. 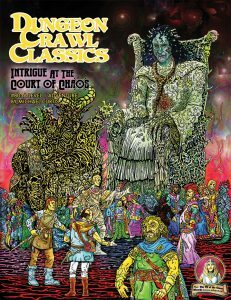 DCC has one product that appears influenced by the Chronicles of Amber—Michael Curtis’ Intrigue at the Courts of Chaos, though it could be argued that Mr. Curtis’ court of demon lords is more “Moorcockian” than Zelazny. 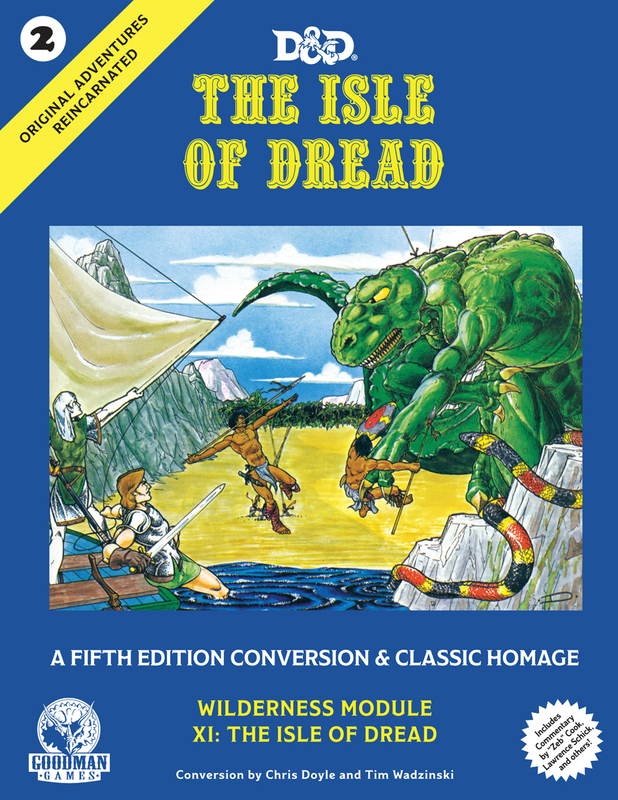 Either way, as wonderful as Intrigue is, its “Zelaznyian orphan hood” in the DCC product catalog suggests that the surface of Zelazny’s direct, DCC-influencing potential has not even been scratched. 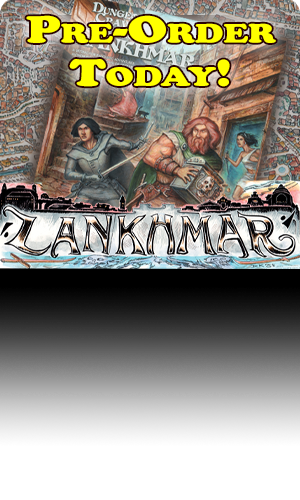 A DCC take on the Chronicles could, and should, explore a non-Vancian magic system and offer “epic”-level, domain-style play in which PCs play the role of Patrons! 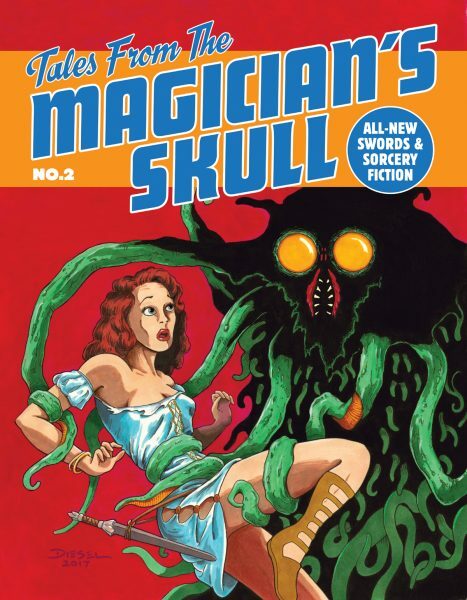 Be sure to visit our Appendix N reprint section and the Adventures in Fiction page for more information on classic pulp adventure!